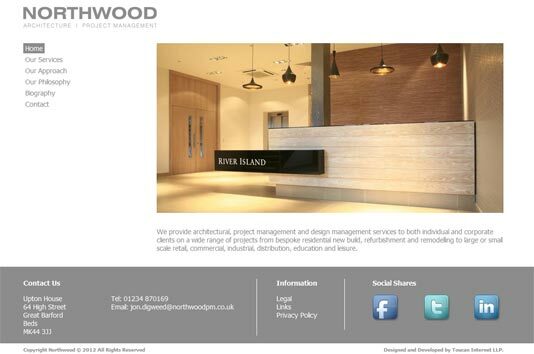 Northwood Architectural project management services website. 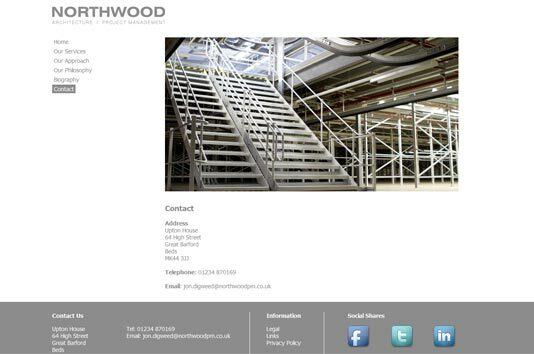 Northwood Architecture and Project Management required a simple and effective website to demonstrate the services offered. The decision was to choose a neutral design framework and let the project images bring the colourful visual impact against the cool grey.